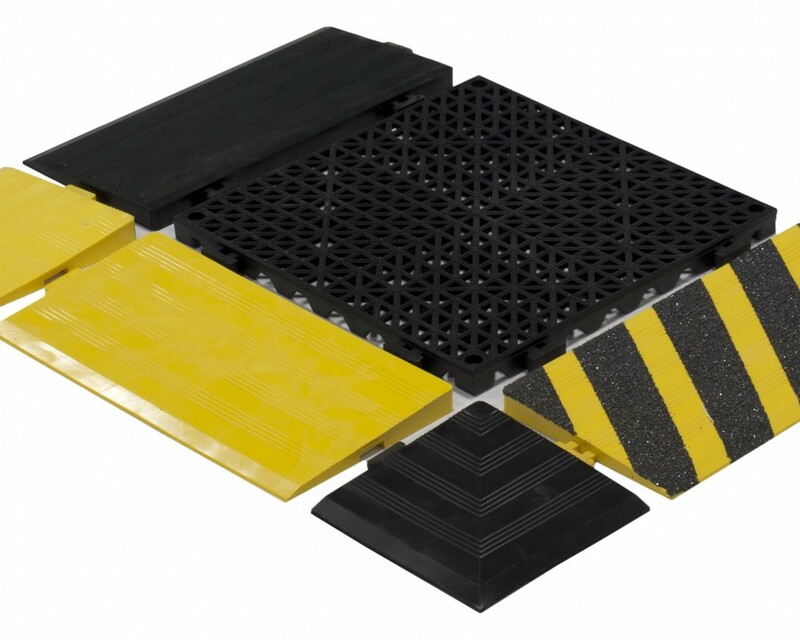 Excellent chemical and grease resistance in an interlocking modular anti-fatigue tile. Open top construction enables drainage while still providing support. Also available with a grit top surface for increased slip-resistance. Perfect for heavy duty applications, wet areas, machining and manufacturing.